Visiting family in Australia and pre-departure to do’s – I Want That Kangaroo! Wedding was a total blast. Soo lucky to be a part of the bridal party. 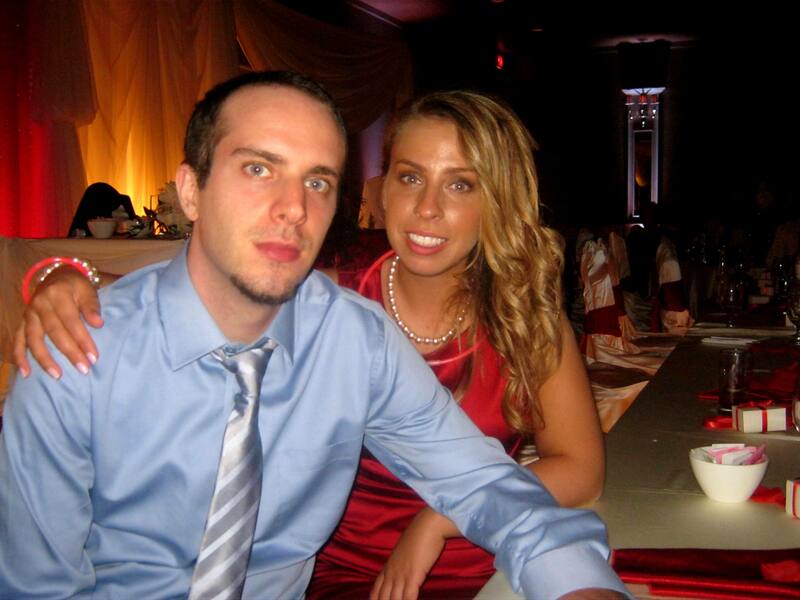 Here’s a pic of my brother and I hangin’ out at the head table. Now is go time. Packing, getting my financials sorted out and saying my goodbyes. Credit cards… make certain all banks are aware of my leaving. I don’t want to be at a till in Oz and be denied payment. CHECK! Insurance… purchase emergency medical and travel insurance. CHECK! Cash… head to CIBC to convert cash into AUD. I won’t be bringing much as I’ll be using my credit card for the majority of my purchases overseas. CHECK! Cell Phone… call Fido and let them know I’m leaving. I won’t be purchasing any international/overseas packages because I’ll be getting a new phone SIM card and number when I get to Australia. I’ll have my cell phone (from Canada) on me to check a few times a week for messages. CHECK! Skype… set up Skype account for the parents and send my username out to all my friends and fam. CHECK! Resume… have multiple resumes ready and rarin’ to go for whatever job opportunity I may be interested in. USB… make sure all the files I need are on my USB key (resumes, work visa, plane tickets, accommodation confirmation, insurance docs etc). Laptop… make sure everything I need is on my laptop. My cousin’s making sure I have Adobe Photoshop, InDesign, and Illustrator on there. I’m also going to find a thick old sweater, cut it up and sow it back together to make a neat case for my laptop. That way it’ll be safe/protected while I’m shuffling through my bags and luggage. Shopping… buy clothes! I need shorts, tees, the whole lot. There’s an outlet strip mall in the city (Orfus. Rd) that sells clothes for cheap. Last year I got a beautiful dress (I believe it was Ubran Behaviour) for $1 clearance! STEAL! CHECK! Knick knacks… buy a comfortable sleep eye-mask for the flight. My friend P already bought me a travel pillow (the horseshoe-shaped ones you put around the back of your neck), easy to pack towels, and a Turbie Twist. CHECK! Packing… buy airtight travel bags. CHECK! And just pack already! Food… find out what the regulations are for bringing food on the plane. CHECK! Hostel… I decided that I’ll be staying at Bounce Budget Hotel/Hostel in Sydney. Looks awesome! I need to call them to see if they provide any sort of shuttle service from the airport to the hostel. CHECK! Wi-Fi… look for free Wi-Fi close to hostel for first week (freeWiFi.com.au). CHECK! Transportation… figure out how I’ll be getting from the airport to the hostel before taking off. CHECK! “There are numerous shuttles from the Airport. Sydney City Shuttle bus is one of the cheapest methods to get to the city. The service leaves approximately every half an hour from outside the Arrival Gates at both the International & Domestic Terminals. The cost is from $12 per person one way.” BounceHotel.com.au. you probably have this covered; since you are going on extended holiday might want to have have medical records on usb, or easily accessible should you need it. i pray that you will not and that you will have a safe and joyous journey. nothing to it. i usually have my medical stuff on usb with a note in my wallet or knapsack should i be incapacitated. also i do not know how long until you leave to go, but you may want to see about having an advanced directive or living will. sorry to be slightly morbid/downer, but things are so much better when you have already put your desires in writing and have all of this detailed so that your family can carry out your wishes. lets not think about that however, lets concentrate on what an outstanding time you are going to have. Yes. 🙂 I appreciate it! I now live in Sydney, and it really is a beautiful place. Make sure you visit Byron Bay up in north NSW though (about 10 hrs drive from sydney cbd) and also north Queensland is amazing!!! The great barrier reef and islands are as beautiful as you would expect! While reading your post I couldn’t help but notice there was not back-up disk. I only say that because I am quite risk adverse when it comes to important computer stuff and have a nice little external hard drive that can be kept on my person. Anyway, I’m sure you have your bases covered and see you on the other side!